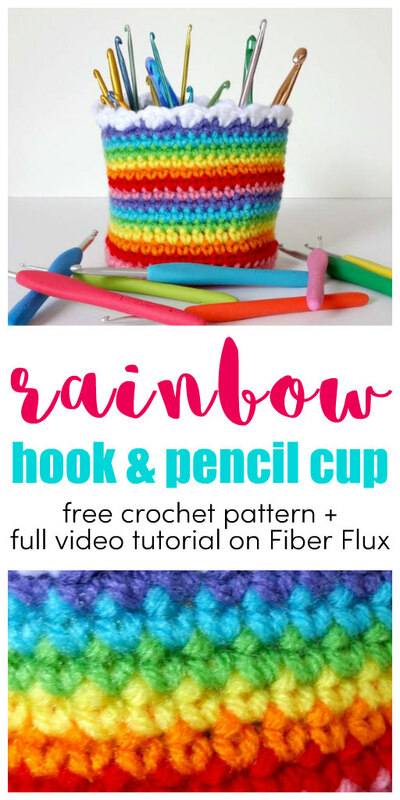 Fiber Flux: Free Crochet Pattern...Rainbow Hook and Pencil Cup! Free Crochet Pattern...Rainbow Hook and Pencil Cup! 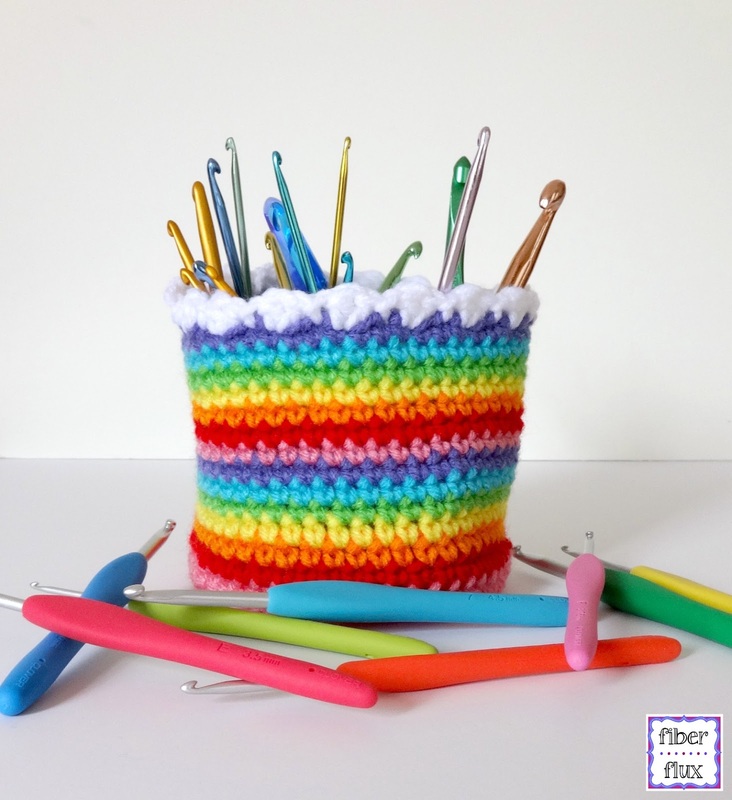 The Rainbow Hook & Pencil Cup is a super fun way to add a little cheer to your desk or craft space. 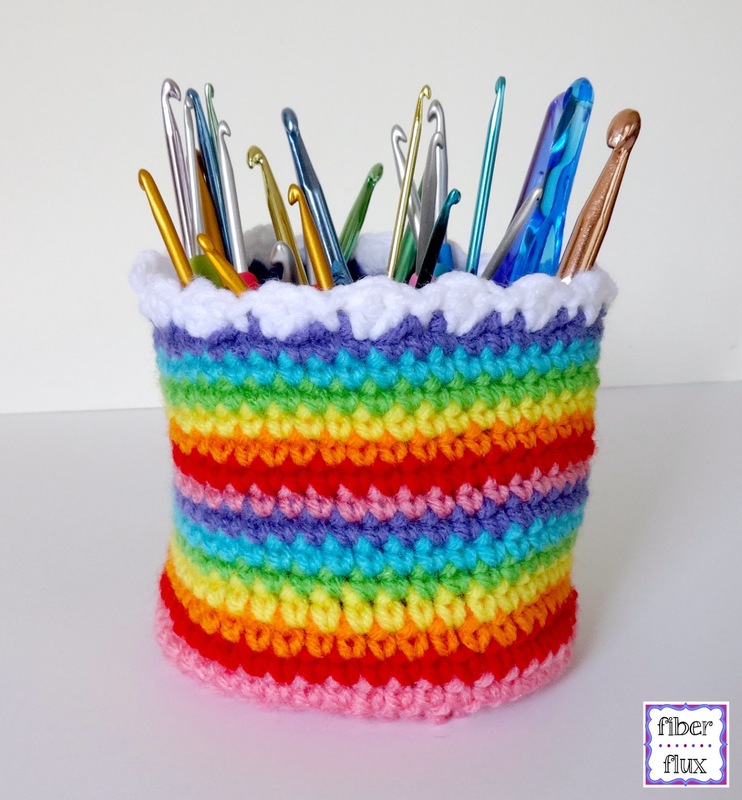 In fact, you can whip up a few of these to organize your supplies too. 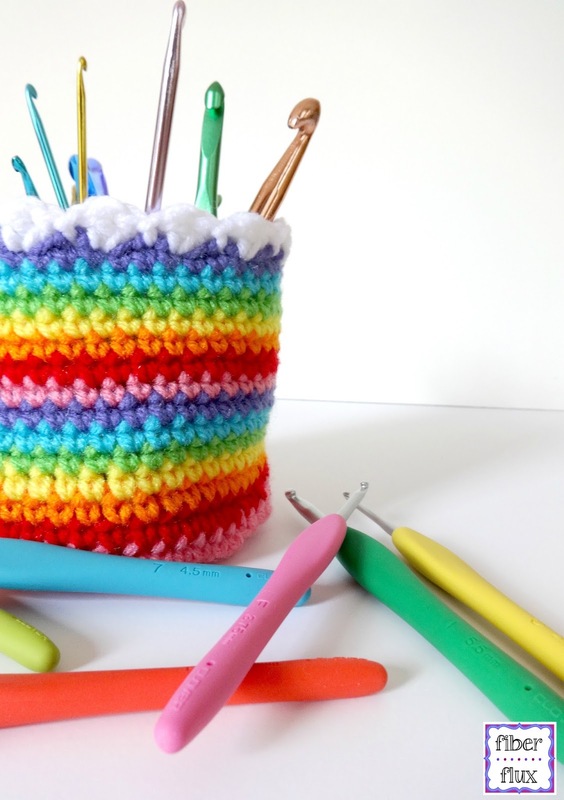 A rainbow striped easy to crochet cup is topped off with a cute cloudy edging. Wide enough to hold lots and lots of hooks too! Note: For the cup shown, the first four rounds are worked in pink. After that, remaining rounds are worked in one color per round in a rainbow stripe sequence. Ch 4, join in the furthest ch from the hook with a sl st. Round 1: Ch 3, work 11 dc into the center of the ring. Join with a sl st to close round. Round 2: Ch 3 (counts as dc), 1 dc in first st. 2 dc in each of the remaining stitches. Join with a sl st to close round. Round 4: Ch 1. 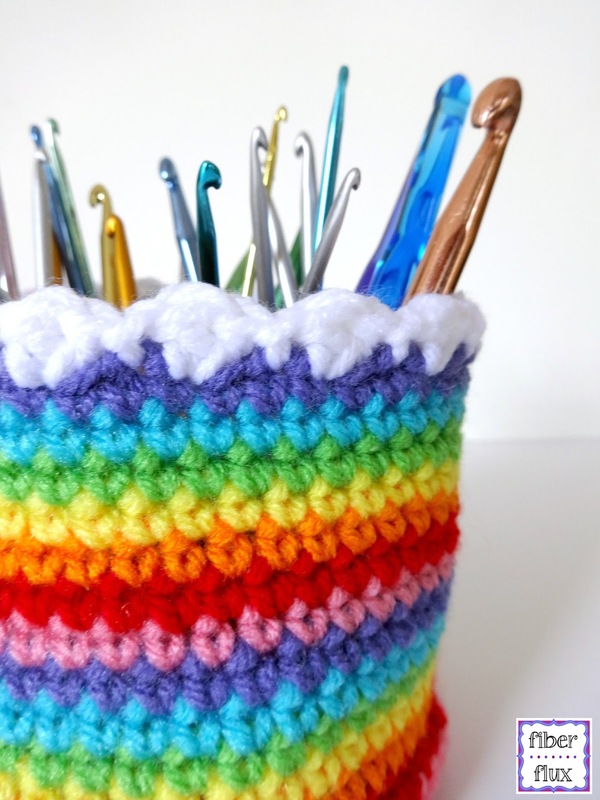 Work a sc in each stitch, then join with a sl st to close round. Repeat round 4 until cup measures approximately 4 inches tall. Cloud Edging Round (worked in white yarn): Ch 3, 1 dc in first st. *In the next st, work a sl st. Skip the next st and in the next stitch, work 2 dc. Repeat from * to end of round. Fasten off. Finishing: Weave in all ends. Be sure to weave in yarn ends of the same color (for example weave blue into blue areas, etc) All finished! © Jennifer Dickerson 2019 All original photographs, text, patterns, content, and artwork are copyright protected. 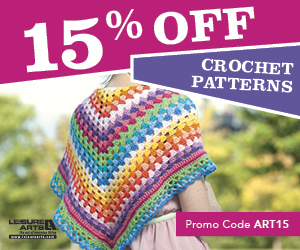 If you enjoy the patterns, please link to them, but do not copy the any material to your own website or blog (including other languages). Thank you!